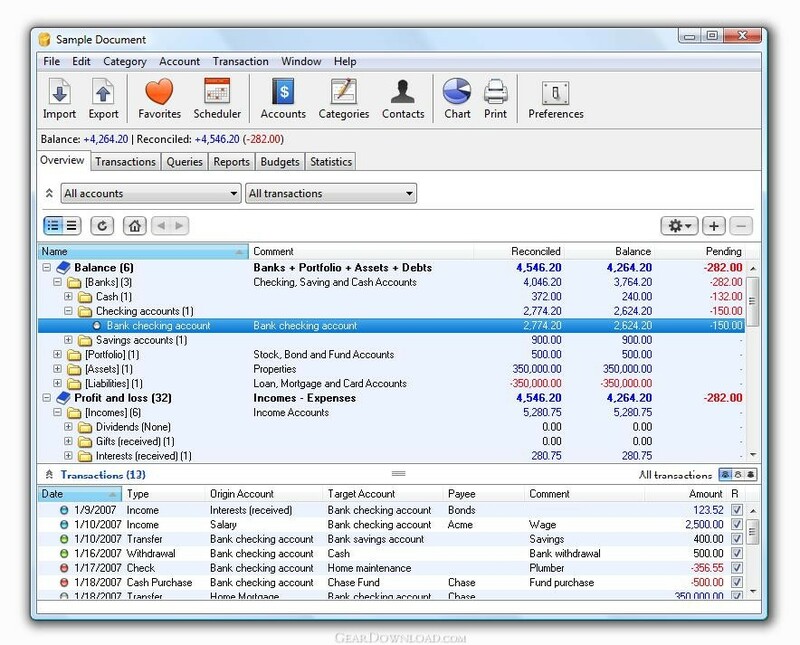 iCash - Personal Finance and Office / Home accounting software. iCash is versatil and user-friendly. For this reason it doesn't use the principle of double-entry bookkeeping making it much easier to be used by people with very little or no accounting knowledge at all. Simply create accounts for all your expenses, incomes, Banks... and start moving money between them! iCash will then allow you to find out where all your money comes from and where it goes. All accounts are well organized according to user-defined categories and built-in types so reports can be tailored to include all records or only ones meeting specified criteria. Cash also allows you to have as many money manager documents as necessary so you can control almost anything from Clubs, associations, home and so on at the same time. What's New: When selecting several transactions the input panel is now reseted and cleared. When on the transaction input day field and pressing the space bar, the focus is now moved to the amount field. The transaction amount field now responds to the up and down arrows to navigate thru last transactions. This download (iCash_setup.exe) was tested thoroughly and was found 100% clean. Click "Report Spyware" link on the top if you found this software contains any form of malware, including but not limited to: spyware, viruses, trojans and backdoors. Loan Calc 2.7.6 - Loan Calc is a tool intended to calculate loans and mortgages repayments amount.